Kennt Ihr die Szene in Kevin allein zu Haus, als er in der Kirche mit dem altem Mann redet? Im Hintergrund singt der Chor ein faszinierendes Lied, das eher wie eine dramatische Komposition von Philip Glass als ein Weihnachtslied klingt. In den Foren wird oft nach dem Lied gefragt. Nun: es heißt Schedrik (auch: Shedryik, Shchedryk). Die englische Version heißt Carol of the Bell. Ich finde, es ist ein absolutes Gänsehaut-Lied. Als ich im Regensburger "Heart-Chor" Mitglied war, hatte Chorleiter Markus Dankesreiter das Lied mit uns einstudiert. Das fiel mir ein, als ich vorhin das Lied im TV hörte. Um Euch eine Vorstellung geben zu können, habe ich auf youtube Interpretationen suchte, die qualitativ an unsere (natürlich unübertroffene) Darstellung heranreicht. Markus hat mit uns übrigens die ukrainische Version eingeübt. Was ich bis heute nicht wusste: Carol of the Bells gehört heute zu den bekanntesten Weihnachtsliedern im englischsprachigen Raum. Es gibt unzählige Interpretationen, sowohl der ukrainischen Fassung als auch der amerikanischen. Das lied wird im Kanon gesungen, da es ja Glocken "nachahmt" (basierend auf der Legende, dass in der Nacht, in der Jesus geboren wurde, alle Glocken in der Welt gleichzeitig zu läuten begonnen haben). Shedryk ist ein ukrainisches Weihnachtslied und wurde im Jahre 1916 vom Komponisten Mikola Leontowitsch für einen Chor weiter bearbeitet. Es ist eigentlich kein Kirchen- sondern eher ein Sternsingerlied womit die Kinder Anfang Januar eines jeden Jahres in den ukrainischen Dörfern unterwegs waren. Im deutschen Wikipedia findet man nur einen kurzen Eintrag, unter der eher unüblichen Schreibweise SCHTSCHEDRYK. Im englischen Wikipedia dagegen findet man wesentlich mehr. Schtschedryk ist ein ukrainisches Volkslied, das im angloamerikanischen Raum auch als Carol of the Bells bekannt ist. Schtschedryk (von ukrainisch schtschedryj) wurde 1916 von Mykola Leontowytsch komponiert (für 4-stimmigen Chor). Es erzählt die Geschichte einer Schwalbe, die zu einem Mann fliegt und ihm prophezeit, dass ihm im kommenden Frühling sehr viel Gutes widerfahren wird. In der Ukraine wird dieses Stück zum orthodoxen Neujahrsfest gesungen. Peter J. Wilhousky hat das Stück 1936 unter dem Titel Carol of the Bells mit einem englischen Text versehen, der allerdings nicht auf dem ukrainischen Original beruht. Carol of the Bells gehört heute zu den bekanntesten Weihnachtsliedern im englischsprachigen Raum. "Shchedryk" (from Ukrainian: Щедрий вечiр, "Bountiful Evening") is a Ukrainian shchedrivka, or New Year's carol. 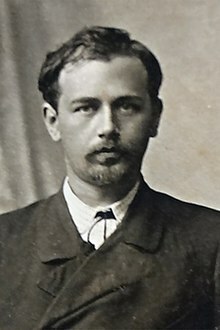 It was arranged by composer and teacher Mykola Leontovych in 1916, and tells a story of a swallow flying into a household to sing of wealth that will come with the following spring. "Shchedryk" was originally sung on the night of January 13, New Year's Eve in the Julian Calendar (December 31 Old Style), which is Shchedry Vechir. Early performances of the piece were made by students at Kyiv University. "Shchedryk" was later adapted as an English Christmas carol, "Carol of the Bells", by Peter J. Wilhousky following a performance of the original song by Alexander Koshetz's Ukrainian National Chorus at Carnegie Hall on October 5, 1921. Wilhousky copyrighted and published his new lyrics (which were not based on the Ukrainian lyrics) in 1936, and the song became popular in the United States, where it became strongly associated with Christmas. The song is based on a traditional folk chant whose language was thought to have magical properties. The original traditional Ukrainian text used a device known as hemiola in the rhythm (alternating the accents within each measure from 3/4 to 6/8 and back again). The chant based on an ostinato four-note pattern within the range of a minor third is thought to be of prehistoric origins and was associated with the coming New Year which in Ukraine before the introduction of Christianity was originally celebrated in April. With the introduction of Christianity to Ukraine, the celebration of the New Year was moved from April to January and the holiday the chant describes became associated with the Feast of Epiphany also known in Ukrainian as Shchedry vechir. The songs sung for this celebration are known as Schedrivky. The original Ukrainian text tells the tale of a swallow flying into a household to proclaim the plentiful and bountiful year that the family will have." The title is derived from the Ukrainian word for "bountiful." In Ukraine, the carol is currently sung on the eve of the Julian New Year (January 13). The four-note melody over a minor third of the chant was used by Ukrainian composer Mykola Leontovych as an ostinato theme in a number of arrangements he made. The arrangement for mixed voice choir a cappella was popularized by the Ukrainian Republic Capella directed by Oleksander Koshetz when it toured the West after 1920. The first of the English language lyrics to Carol of the Bells (a song based on the same melodic ideas) were written in 1936 by Peter Wilhousky of NBC Radio. The song reminded Wilhousky of beautiful ringing bells and he captured that imagery in his lyrics. Although Carol of the Bells and Shchedryk share the same melody, the lyrics of these two songs have nothing in common.